In Virginia, security guards are given more power than in many other states. In the wake of a recent fatal shooting by an armed security guard, in which the officer killed an unarmed 60-year-old man who was simply playing Pokemon Go, it is more important than ever to understand the powers and limitations of power that a private security guard has in our state. We strongly encourage you to contact a skilled criminal defense attorney if you have any legal questions or if you are in need of legal counsel. Can a Private Security Guard Make an Arrest? Pursuant to Virginia statute 9.1-146, a security guard registered to provide service to a business has the authority to make an arrest on the business property only when an offense is occurring in the officer’s presence or in the presence of the party that hired the security officer. A security officer also has legal power to make an arrest if they have probable cause to believe that the suspect has been shoplifting or has willfully concealed goods. 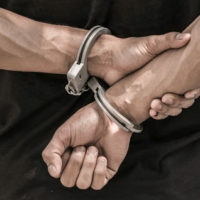 If you resisted arrest, you may be charged with a class 1 misdemeanor if the court decides that the arresting security officer was within the course and scope of the law. Resisting arrest is a class 1 misdemeanor in Virginia, defined by Virginia statute 18.2-479.1, and is punishable itself by up to 12 months in jail. In the case of the tragic killing of the 60-year-old Virginia man this past January by the overzealous security guard, the court found the guard did not act within the bounds of his legal duty, and charged him with second degree murder, according to the Virginian Pilot. While no officer can lawfully shoot any person without justifiable cause, can a security guard legally carry a weapon? Can Security Guards Carry Weapons and When Can They Lawfully Use Them? The recent January shooting by the security guard has sparked controversy as of late. First of all, the company that hired the security firm denies that their contract called for armed services, while the security firm strongly refutes that claim. While it is legal for security guards to carry weapons, depending on the location, when can a security officer lawfully use said weapon? Security guards do not have the same leeway to draw or fire their weapons as a state or federal law enforcement agent. Security guards can only use their firearms when they reasonably believe that a suspect poses an immediate threat to the bodily injury or life of the security guard or other people. If you have been arrested by a security guard, unlawfully detained by a private security firm, or have any questions about the legality of a private security firm’s actions, call the Loudoun County, Leesburg, Winchester, Fairfax, and Prince William attorneys of Simms Showers, LLP today at 703-997-7821. Disclaimer: This legal alert is provided for general information purposes only and is not a substitute for legal advice particular to your situation. No recipients of this memo should act or refrain from acting solely on the basis of this memorandum without seeking professional legal counsel. Simms Showers LLP expressly disclaims all liability relating to actions taken or not taken based solely on the content of this memorandum. Please contact Caleb Kershner or Ben Mann at cak@simmsshowerslaw.com, wbm@simmsshowerslaw.com, or (703) 771-4671 for greater details concerning how this information may affect you. Simms Showers LLP is conveniently located two blocks from the Loudoun County Courthouse. Our criminal defense firm offers a free phone consultation for criminal or personal injury cases. Se habla español. Call Simms Showers LLP for quality legal counsel today at 703-997-7821 or contact us online. I acknowledge that contacting Simms Showers LLP, through this website does not create an attorney-client relationship, and information I send is not protected by attorney-client privilege. © 2018 - 2019 Simms Showers, LLP, Attorneys at Law. All rights reserved.